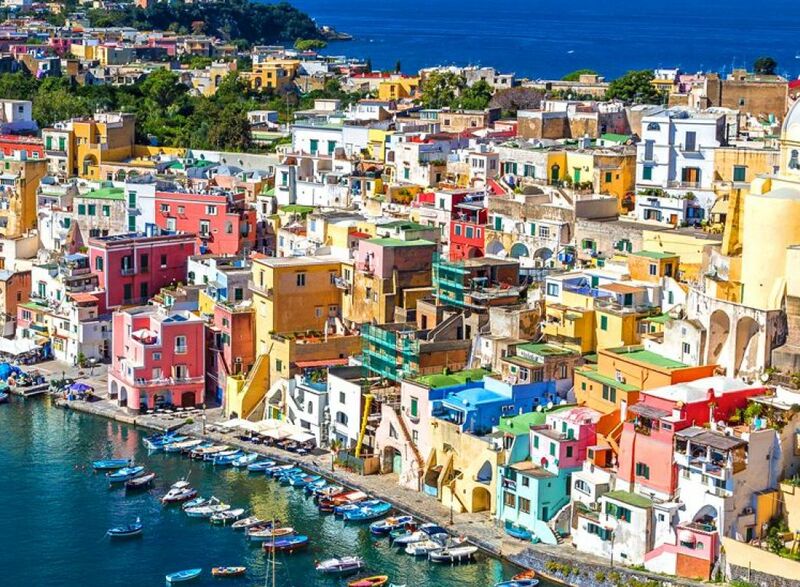 Procida, a small island and its unspoiled natural beauty, is the perfect destination for the summer holidays. Not far from Procida, you will find Ischia, the so called “green island, will surprise you with its lush vegetation, its volcanic origins and its clear blue sea where you can have a relaxing and regenerating swim. • Pick-up from from a designated meeting point and transfer to the port of Piano di Sorrento. • Departure to Procida. Along the way you will admire Nisida, the Campi Flegrei up to Capo Miseno..
• Arrival to Procida and tour of the island by boat. • Stop from 1 to 2 hours in Procida to visit the island by land. 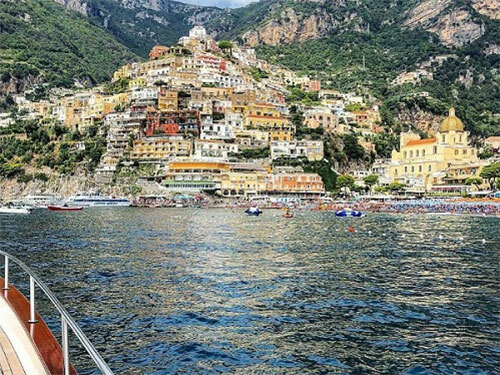 • Departure to Ischia and tour of the island by boat. Along the way you will admire the Aragonese Castle, Maronti beach, the spa Cavascura, the oldest of the island, or alternatively the Bay of Sorgeto with its warm waters and mud bath. • Stop from 1 to 2 hours to visit the island of Ischia by land. • Departure from Ischia to Sorrento with limoncello tasting.